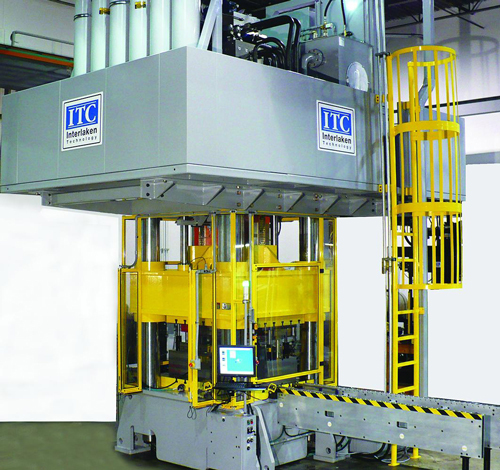 Interlaken Technology, Chaska, MN, has introduced a four-column hydroforming press (250 to 5000 tons) for running high-volume production with reduced cycle time. Promising optimum control over forces and motions, the press features multichannel closed-loop control—easily programmed to handle various blank sizes and material types. Dynamic mode switching allows the user to switch between a variety of feedback signals including force, position and internal pressure.